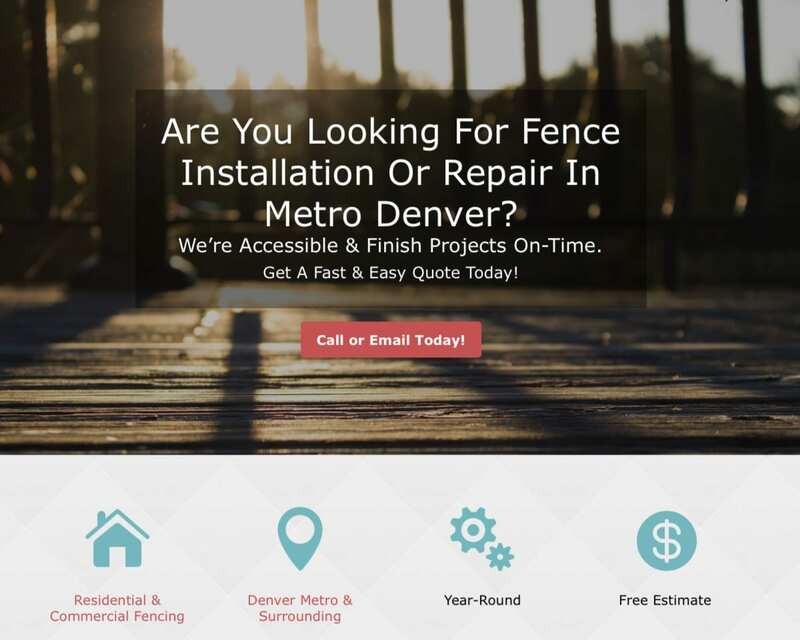 AT Contractors is a local long-time small business in Denver. They needed a website that was optimized for Google search, marketed his experience and customer service, and made it easy for customers to get in touch. Home page with an immediate call-to-action helps customers get directly in touch quickly. The visual speaks to the company’s focus on quality. The 4 features at the bottom communicate why AT is valuable to potential customers. The services overview page gives the potential customer more details to why this company is the best option. It is also optimized for his primary Google search keywords. 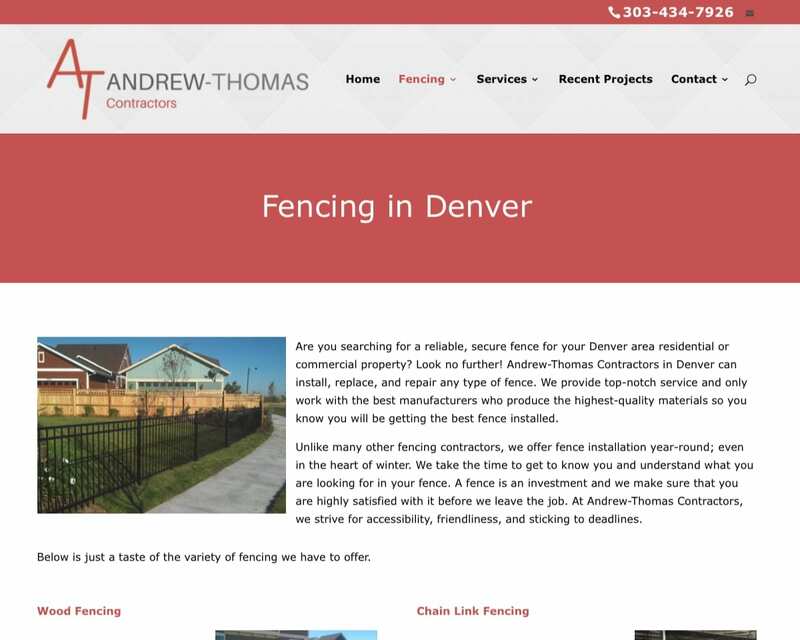 Below are links to more details about each type of fence, which helps SEO by targeting people searching for more specific types of fences. The website makes it very easy to convert with email, phone number, and a contact form. 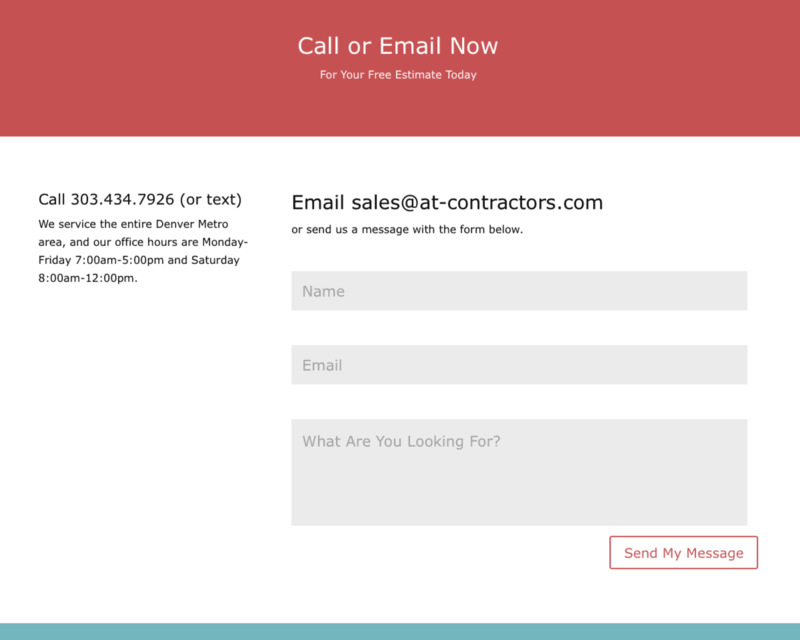 The contact form gets emailed directly to their sales team. It also gets logged in a database as a backup, just in case an email ever gets lost. Since we manage this website with our maintenance program, we also periodically test the forms to make 100% sure they are always getting their leads instantly.